I haven’t read many Mermaid novels but this is completely different, in a good way, to the ones I have read. Juniper Sawfeather, the daughter of well known environmental activists, is a high school senior contemplating her future career. She doesn’t want to follow in her parents’ footsteps, even though she supports them and helps out when she can. Her ultimate goal is to enter the field of marine biology and escape from the embarrassing stigma of her ‘weird’ parents, which has made her less than popular at school. Being called out at all hours of the day and night is an integral part of life for the Sawfeather family and when June’s father gets an emergency call in the early hours one morning, he and June head to the beach where there has been a massive oil spill. As they do what they can to save the marine life coated in oil, they discover incredible, human-like creatures washed up on the beach which will impact hugely on everyone concerned. When two of the creatures, who June and her father believe are mermaids, die, they are desperate to save the third, and take her to a rescue centre where Carter, the young intern, joins their fight. June and Carter are attracted to each other but their budding romance doesn’t run smoothly and is really a small part of the story. The teenage self-consciousness and uncertainty is portrayed perfectly as June struggles with the conflicting emotions between adolescence and adulthood. I like how her character develops throughout and how she comes to realise what is actually important and worth bothering about in life. The oil spill situation and repercussions are portrayed genuinely and are obviously well researched, showing how the negligence of a large company can have a devastating impact on the environment. 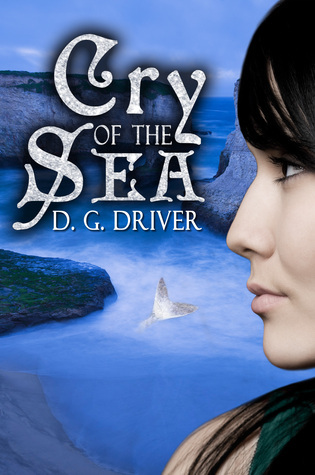 A very good, well written story full of intrigue and conspiracies as June, her best friend and her parents, Carter and others try to outwit the oil company in an effort to help save the mythical sea creatures. I’ve read very good comments about this book. Thanks, Cathy! I also liked the Native American folklore in this book – and the environmentalism messages. Not preachy, just bringing awareness. Nice review, Cathy! I also enjoy a book with a theme of environmental issues. Cry of the Sea sounds great.